Billboard went back 15 years to 1948 to compile statistics for their article. Perry Como came in second to Elvis with just three #1 records. 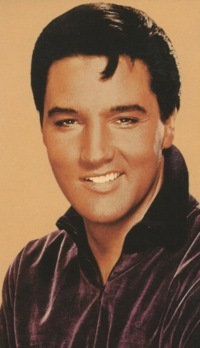 Certainly, no recording artist or group would ever approach Elvis's chart-topping record. Right? 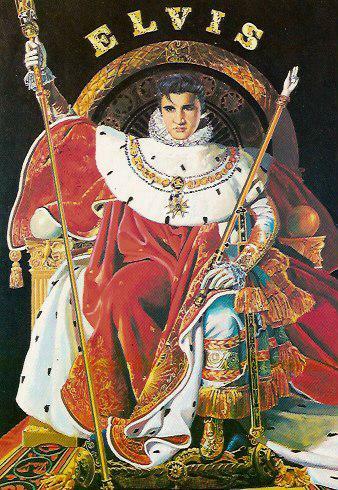 But the act that would displace Elvis as king of the record charts had already started making noise across the pond. Of course, Beatlemania spread quickly to the U.S. The following timeline from 1964 shows how The Beatles’ takeover of the American record charts was made easier by the abdication of the reigning chart king. 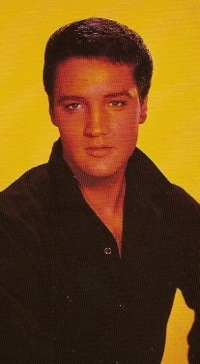 Presley’s series of weak singles that year revealed that his previous commitment to recording had been replaced by an obligation to movie-making. February 1: I Want to Hold Your Hand takes over the top spot on Billboard’s Hot 100. 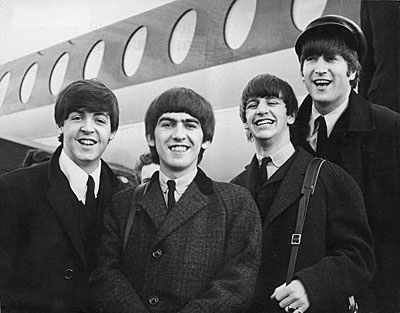 It becomes The Beatles’ first #1 single in the United States. Elvis has no record on the chart at the time. February 7: The Beatles receive a tumultuous welcome in New York as they arrive to begin their first American tour. February 9: The Beatles make their first appearance on The Ed Sullivan Show. On air Sullivan reads a telegram from Elvis and the Colonel welcoming The Beatles to America. February 22: With I Want to Hold Your Hand and She Loves You, The Beatles hold the top two spots on the Billboard chart. (Elvis had performed the same feat with Don’t Be Cruel and Hound Dog on October 6, 1956.) That same week Elvis’s new release, Kissin’ Cousins, enters the Hot 100 at #63. Four weeks later it stalled out at #12, making it Elvis’s worst ever chart performing regular RCA single release to that point. March 14: Beatles singles I Want to Hold Your Hand, She Loves You, and Please, Please Me hold the top three spots on the Hot 100, something Elvis had never accomplished. April 4: Beatlemania reaches its peak on the Billboard chart. The Fab Four have the top five spots on the Hot 100 (#1 Can’t Buy Me Love, #2 Twist and Shout, #3 She Loves You, #4 I Want to Hold Your Hand, and #5 Please, Please Me.) Seven other Beatles records are also on the chart, giving the group a record 12 spots in the Hot 100 at the same time. 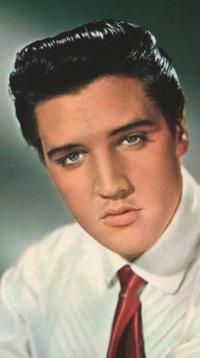 Elvis previously held the record with 11 sides on Billboard’s chart of February 2, 1957. April 11: Love Me Do becomes The Beatles’ fourth #1 record of 1964, breaking another Presley chart record. 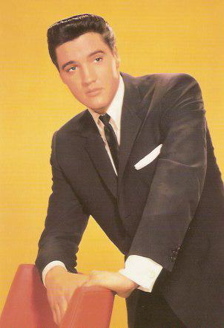 Elvis had three #1 singles in both 1956 and 1957. 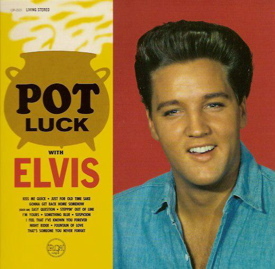 May 2: Kiss Me Quick, first released on Elvis’s 1962 album Pot Luck, enters the Billboard singles chart at #79. It stays on the list for just six weeks, peaking at #34. May 9: Viva Las Vegas enters the Hot 100 at #87. 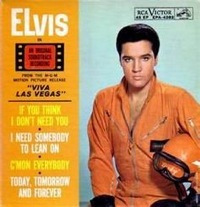 While today it is one of Elvis’s most recognizable songs, it only reached #29 during its seven-week chart run. The flip side of the single, What’d I Say, did a little better, peaking at #21. June 17: MGM’s Viva Las Vegas is released nationwide. With the double star power of Elvis and Ann-Margret, the film brought in $4.675 million by year’s end, good enough for the #11 spot on Variety’s list of “Big Rental Pictures of 1964.” It was two spots ahead of The Beatles’ A Hard Days Night, giving Elvis his only “win” over the Fab Four in 1964. July 10: The Beatles’ first movie, A Hard Day’s Night, is released in the U.S. It does $4.473 million at the box office, good enough for 13th place on Variety’s list of “Big Rental Pictures of 1964.” Variety projected, however, that A Hard Day’s Night would ultimately earn revenue of $5.8 million, topping the magazine's projection of $5 million for Viva Las Vegas. July 18: A Hard Day’s Night becomes The Beatles’ fifth #1 single of 1964. 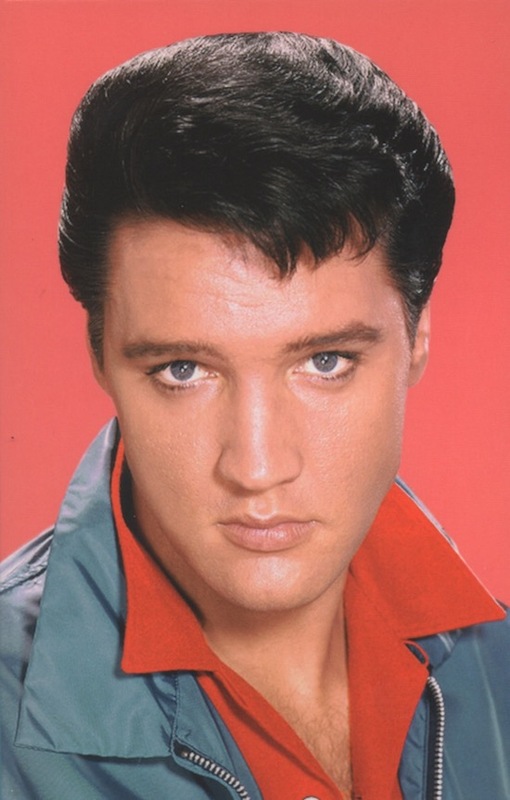 July 25: Such a Night, culled from the 1960 album Elvis is Back, enters the Hot 100 as a single at #82. With an eight-week chart life, it tops out at #16. October 10: Ain’t That Lovin’ You Baby debuts at #76 on the Billboard chart. It’s the third time that RCA has dug into its archives for an Elvis single in 1964. This time it’s a tune rejected for release in 1958. It was Elvis’s last chance to crack the top 10 in 1964. He didn’t make it. Ain’t That Lovin’ You Baby ran out of gas at #16. Ask Me on the flip side did a little better, peaking at #12. November 7: For the first time since January 18, The Beatles are not represented in the Hot 100. 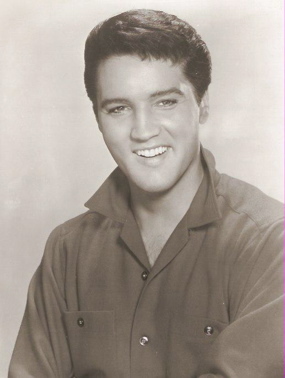 Their streak of 41 weeks was far short of Elvis’s record of 135 straight weeks on Billboard’s singles chart from January 3, 1956, through September 22, 1958. 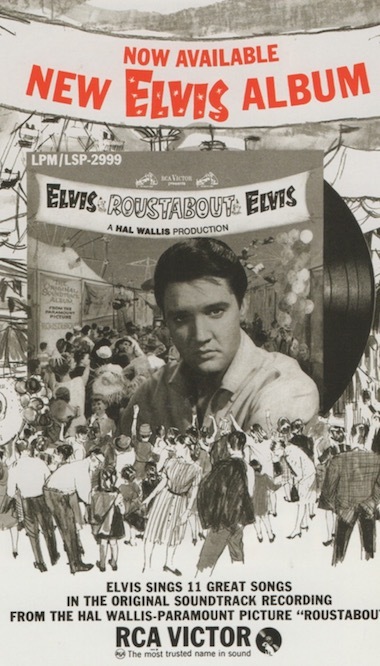 November 11: Roustabout, Elvis’s third feature film of 1964, opens nationwide. 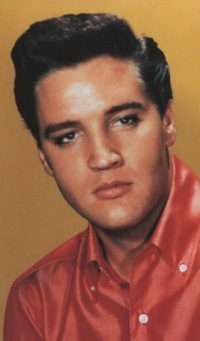 It marked the first of six consecutive years that Presley would release three pictures per year. December 5: I Feel Fine becomes The Beatles sixth #1 single of 1964. 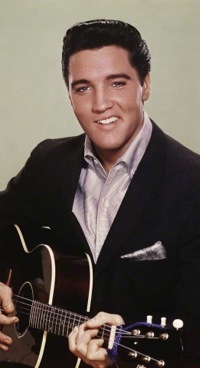 In January 1965, when Billboard printed its list of the Top 100 Records of 1964, Elvis’s fall from chart dominance was painfully apparent by his absence. None of his five 1964 singles were to be found anywhere on the list. The Beatles had nine songs in the year’s top 100, including I Want to Hold Your Hand at #1 and She Loves You at #2. Other artists on the list who beat out Elvis included Terry Stafford with his version of Suspicion, a cover of Elvis’s recording two years earlier; the Newbeats with their goofy recording of Bread and Butter; Roger Miller with the drinking song Chug-A-Lug; the Trashmen doing Surfin’ Bird;” Gene Simmons singing (I guess) Haunted House; and Johnny Rivers, who some feel robbed Elvis of his best opportunity for a big hit in 1964 by beating Presley to the marketplace with his version of Memphis. The chart beat down he took from The Beatles in 1964 should have been a clear clarion call to Elvis that he needed to rededicate himself to his recording career. And yet, he continued to stumble on for four more years issuing mediocre singles from mediocre movie soundtracks. "Presley’s series of weak singles that year revealed that his previous commitment to recording had been replaced by an obligation to movie-making"